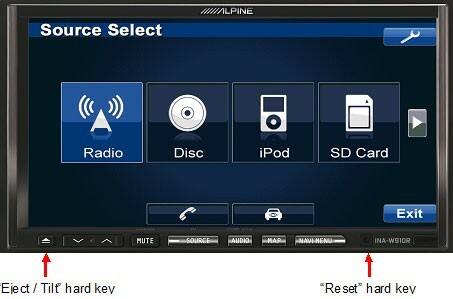 ▷ Alpine X800D ML update. Speedcam for your maps. Download update. Free custom download. 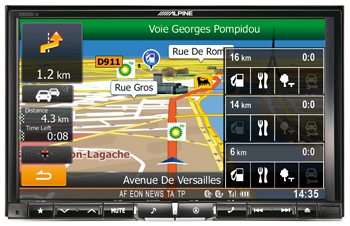 In order to update your GPS device: Alpine X800D ML with the latest update, follow next instructions. First of all, be sure you got the update file for your Alpine X800D ML device, downloaded from SpeedcamUpdates.com. Power the unit on and insert the SD card into INA-W910R. The SD card slot is accessible by pressing the "Eject/Tilt” hard key. The "Eject/Tilt” hard key is located as indicated below. Then press the “Open” soft key. Reset INA-W910R to initialize the update. The “Reset” hard key is located as indicated below. Use a pencil to press the “Reset” hard key. The Update is finished once the popup message “Navigation Update Successful” is displayed. Press the “OK” soft key. The update process might take a few minutes. Please wait until you see the confirmation screen.